When the humidity is so thick you feel like you’ve hit a wall when you step outdoors, you know it’s storm season. Summer storms can brew until the height of the heat during the day. Clouds can swirl and thunder can rumble for hours before the storm hits with a vengeance. Or, a thunderstorm can come out of nowhere and disappear as quickly as it came. Either way, be prepared. Keep a storm box in your garage or basement with flashlights, batteries, drinkable water and a battery-powered radio. Better yet, invest in a generator for when electricity may be out due to wind or storm damage. Check your sump pump regularly to be sure it’s running efficiently. 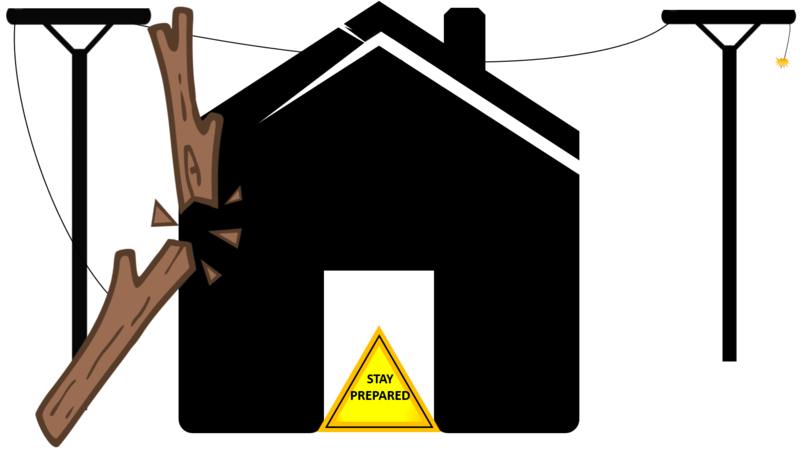 Have a back-up pump or a plan to hook it up to a generator in case of a power outage. Check it again when the power comes back on, to be sure it’s running efficiently. Keep gutters and downspouts clear of debris and make sure your yard is graded properly for water run-off. Keep a full container of propane for your gas grill or plenty of charcoal for your charcoal grill in case of a power outage that can damage cold and frozen foods. Check your home for leaks and cracks that may allow damaging water into the home. Have these repaired as soon as possible. After the storm, check for any new or recurring cracks. Have a family plan for the safest areas of your home in case of tornado or hurricanes. These are usually the bottom-floor, innermost rooms of the house, away from glass windows and doors. Have numbers on hand of Local Tree Servicers for downed trees, Your Power company for downed power lines and, of-course, Chavis Enterprises for debris removal. Damaging storms are inevitable. Be prepared and stay one step ahead.